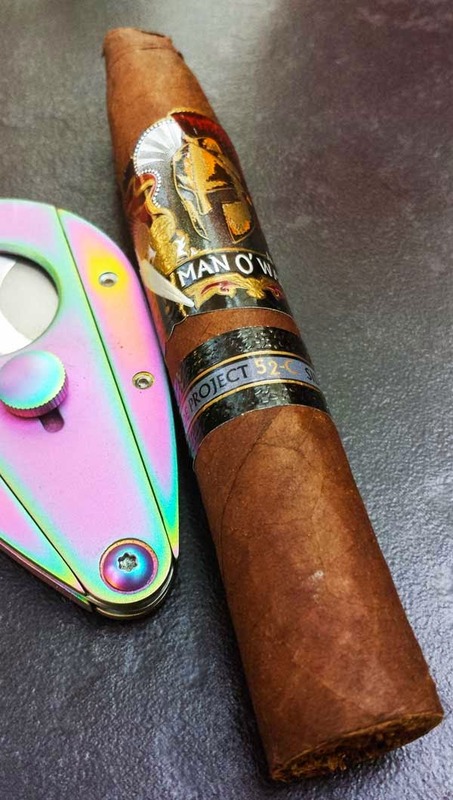 I picked up the Man O' War Side Project 52-C in a flight sampler back a few months ago. You can find these at Cigars International in a 5-pack for $40.00. The 52-C is unique 5"x52 Chisel-shaped cigar with and oily, seamless, stout maduro colored wrapper that's close to vein free. Cold, this cigar has some great flavor notes. From the foot the aroma reminded me of chai tea and after the chisel tip was clipped with my Xikar cutter, the free draw tasted like spiced ripe fruit. Once it was burning there was an initial medium bodied blast of ripe tree fruit mixed with toast. 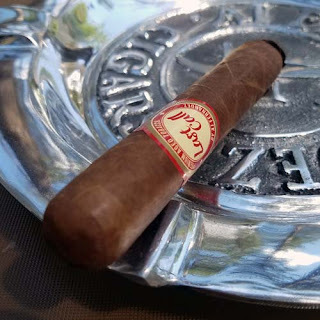 As the razor sharp burn moved up the cigar there was a sugary aftertaste plus notes of oak, caramel, dry grass, spicy cedar, dark chocolate, earth, charcoal and espresso. The cigar finished it's forty-five minute burn with a nice oil sheen on the nub and full bodied flavors of chocolate with a hint of charcoal. A darn tasty mix! I've been a huge Man O' War fan since smoking my first Virtue several year ago, they never let me down. If you haven't tried the Man O' War or the Side Projects line, I think you're are missing out. There are flavor profiles for every smoker.